What started as a part-time job while in college ended up as a lifelong career in the hospitality industry doing what she loves. 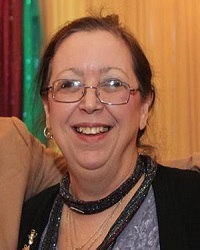 As Director of Catering, Toni works with corporate clients planning meetings large and small – not-for-profit organizations, associations and various religious organizations planning conferences, fund-raisers and banquets, and nervous and not-so-nervous brides & grooms planning their weddings. Even though Toni has planned hundreds of weddings and special celebrations over the years she never takes for granted that this day is a once-in-lifetime event for the celebrants. She appreciates learning about different cultures and customs and will tell you one of the best parts of her job is when families come back for a sister's wedding or a former bride and groom come to plan their baby shower or child's 1st birthday party! With a background in finance, Bushra's first hotel venture was in the purchasing department, then human resources, only to finally find her true home in, of all places, catering. Starting in the South Asian market, her knowledge of the customs and culture were a natural fit that qualified her as our “South Asian event specialist”. 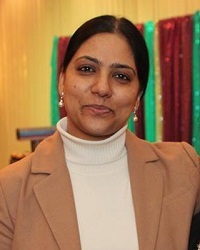 As Catering Sales Manager Bushra works, not only with South Asian clientele, but a wide variety of ethnic and social groups, healthcare professionals , and corporate and association meeting planners. Her “out-of-the-box” thinking is an invaluable asset to those lucky enough to be planning an event with her. Her attention to detail makes for flawless execution. A great networker, Bushra knows how to make guests feel welcome and comfortable. Her outgoing personality and natural love of people makes her a true ambassador of hospitality.